At Briarcliff, we build community. Recognizing the tremendous impact real estate has on quality of life, we strive to create thoughtful, quality, and holistically designed projects that enhance the livability, character, value, and vitality of our communities. Keep service front of mind, always. Possess the right knowledge to make informed decisions. Assemble the best and brightest team possible. Focus on follow-through and execution to make it all happen. Being in development as owner-operators over the past 25 years has taught us a lot. As we move forward in doing projects for ourselves and others, we draw from our experience to deliver a seamless project to our clients. 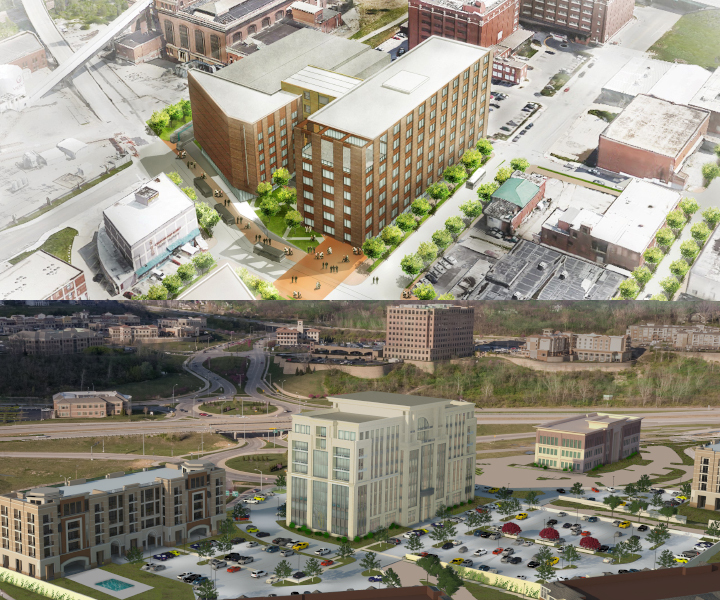 In September 2015, Briarcliff was selected as the development partner by the Kansas City Area Transportation Authority to help redevelop a surface parking lot in the River Market neighborhood near downtown Kansas City, Missouri. Thanks to the great team BDC assembled and the hard work put in, the KCATA saw the greatest potential for positive impact in our proposal, which consists of retail and Class A Office that will be a uniquely breathtaking offering to the Kansas City market. The project will be a transit-oriented development that takes advantage of the newly operational Streetcar line, numerous bus routes, and bike trails adjacent to the site. The Riverfront Office is the largest remaining piece of the Briarcliff Master Plan to be built out. 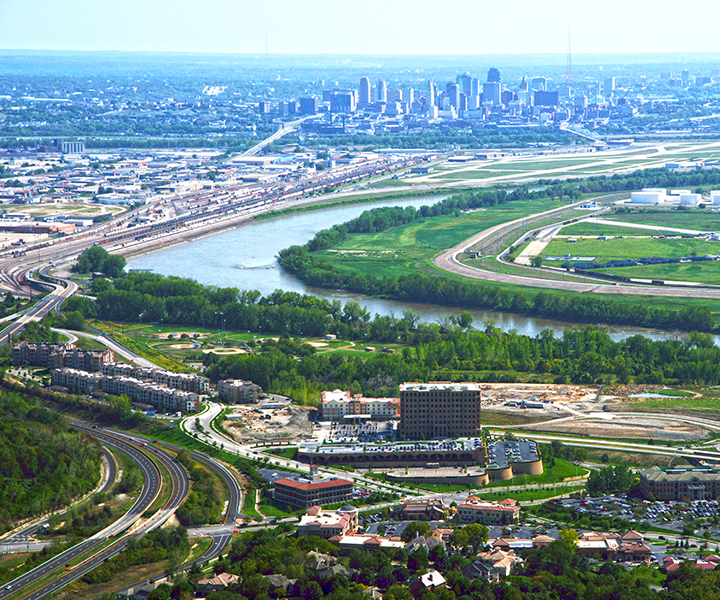 Located just south of Missouri 9 Highway in between the Missouri River, the Riverfront offers great access and tremendous views of Downtown for all its users. Three parcels are contemplated as three separate buildings ranging in size from 30,000 to 190,000 sf to cater to a number of tenants that will further enhance the healthy business environment at Briarcliff. 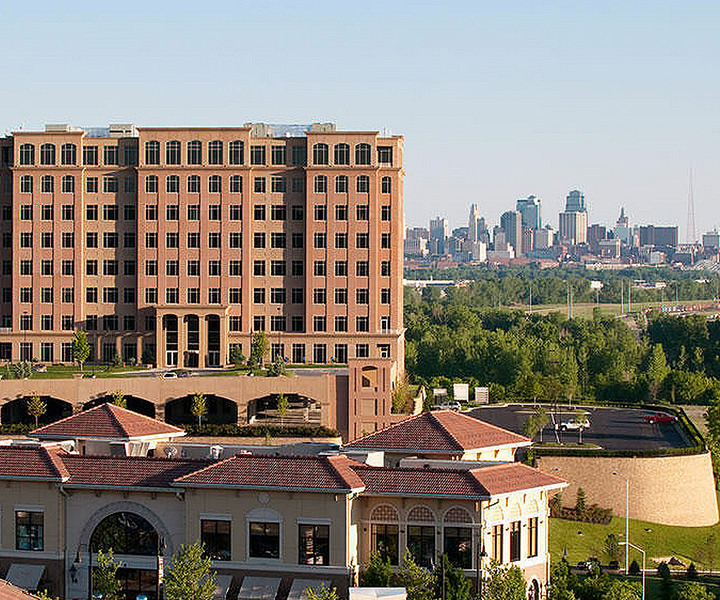 The Briarcliff story begins with Charles Garney’s bold vision for a derelict stretch of 400 acres, which today is one of the premier communities in the Kansas City metro. Realizing this ambition has been a decades long commitment, and the lessons learned along the way equip our team to rise to any challenge we dare to take on. Thinking big and possessing the knowhow to see it through, Briarcliff is always looking for another opportunity to transform and reintegrate a languishing site into a positive, productive part of the community. With the abundant living choices available to today’s renters, understanding the market demands and providing the right product at the right price in the right location are key to quality living. In having developed three communities totaling over 720 units, BDC continuously refines how we can maximize value as a means of producing smart assets for investors and unique projects for people to call home. Briarcliff prides itself on our office product. Our portfolio includes over 550,000sf of Class A space over seven buildings which range in size from 25,000sf to 220,000sf. Our commitment to excellence is embodied in all stages of the project, from design to delivery to diligent management, ultimately to ensure the best possible experience and environment for the people we serve. The heart and soul of any community lies in its public realm, in which shops, restaurants, and other retail often play a major role. As developers, we understand the impact of the touch and feel of a place on the quality of a person’s experience there, and how that experience plays a role in the success of a tenant’s presence within the community, and ultimately in the vibrancy of the community itself. 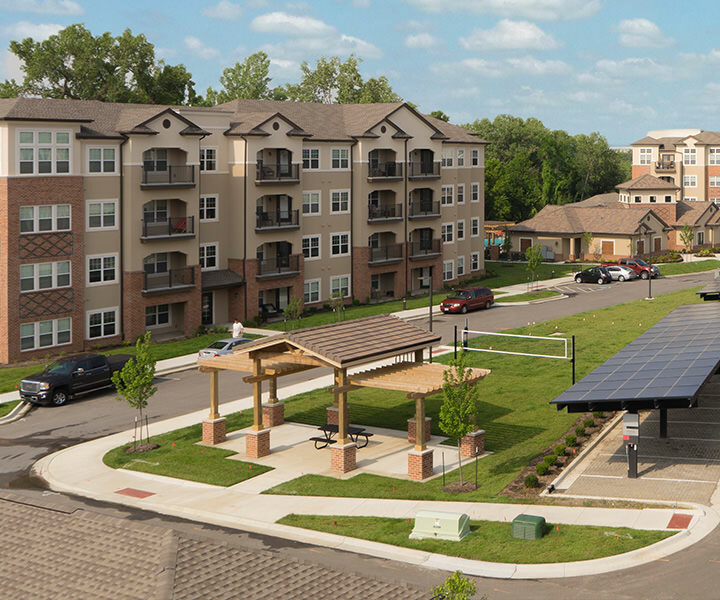 As a testament to these beliefs, the Village at Briarcliff functions not only to serve the daily needs of area residents and office tenants, but also assumes a duty of providing a place for friends and colleagues to gather and for neighbors to have chance interactions. Retailers are at the cornerstone of community’s identity, as they offer an avenue for the makers and creators of all types to share their craft with the world. This is especially important in the digital age, as with a diminished need for brick and mortar, those who do set up shop are all the more important. The Foot Spot has been a tenant of The Village for almost 10 years. It is great to work with a local landlord who is friendly, supportive and wants you to succeed. 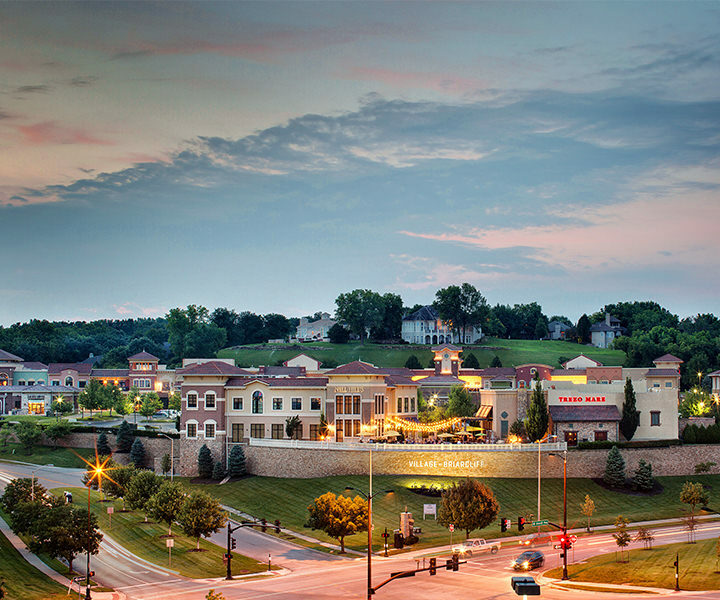 We are in other centers in the Kansas City area and are always appreciative of the level of care and interest Briarcliff Development shows for us personally as well as a business.